Fog Shrouded Pines on the lolo trail, Nez Perce Ntl. Forest, Lewis and Clark National Historic trail, Idaho. 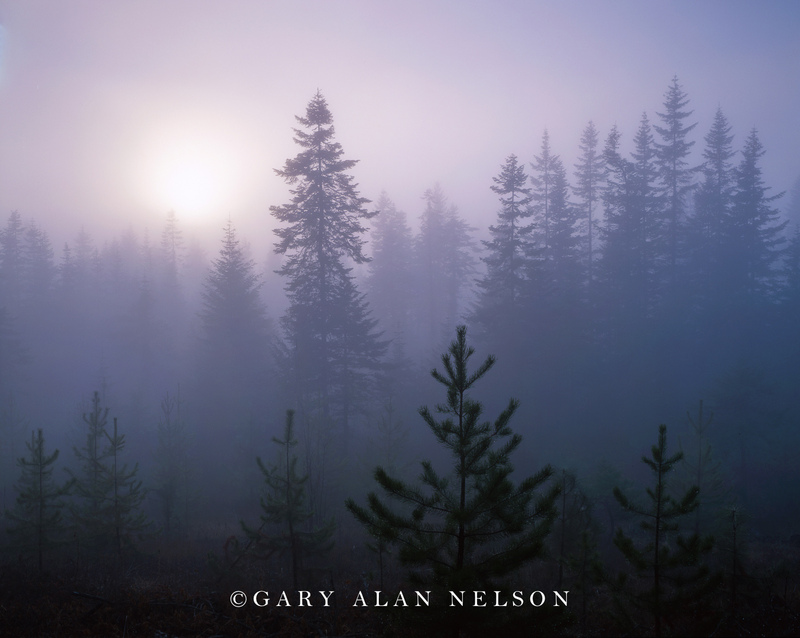 Photo © copyright by Gary Alan Nelson.